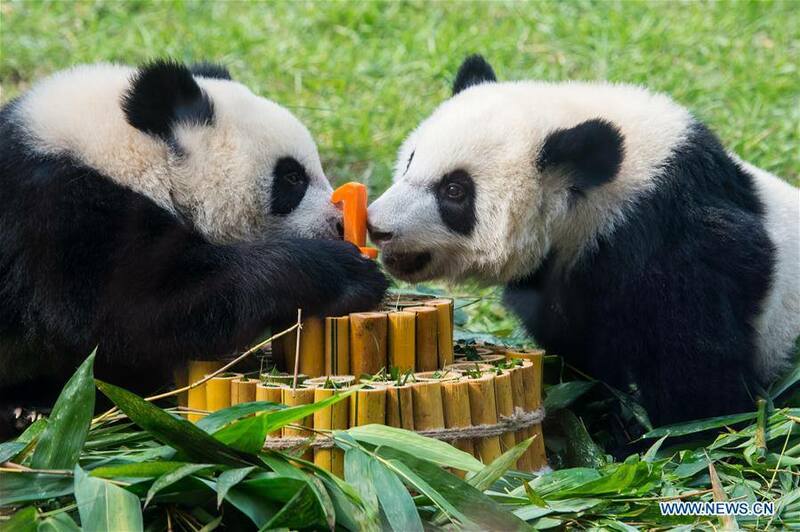 December 17, 2010 was the last day in Chengdu for 2 pandas who will move to Macau. Shu Xiang (male) was born on August 4, 2008 and has studbook number 717. 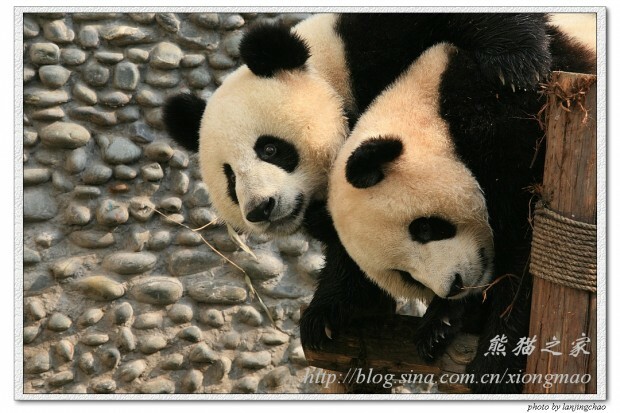 Qi Miao (female) was born on July 26, 2008 and has studbook number 710. Tomorrow, on December 18, 2010 they will leave their birth town Chengdu and fly to their new Five-star Home at Seac Pai Van Park in Macau. 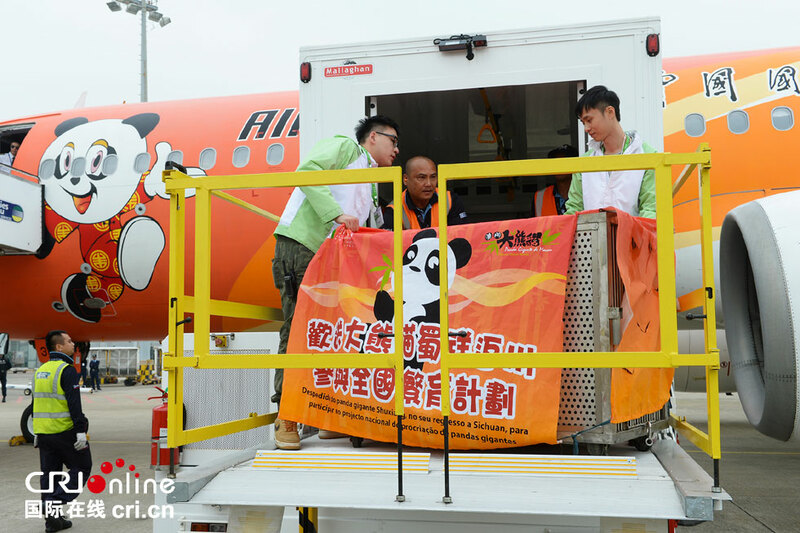 Both pandas are a gift from the Chinese Government to SAR Macau for the 10th Anniversary of the Macau Government. 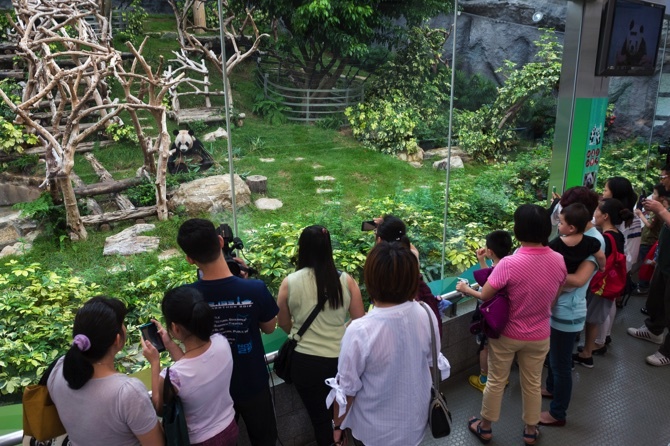 Click here to see more pictures of their last day at the Chengdu Research Base of Giant Panda Breeding. Pictures by Lan Jing Chao. Shu Xiang & Qi Miao will receive new names in Macau, Kai Kai & Xin Xin. Combined, their names mean happiness in Chinese. (Hoi Hoi & Sam Sam in cantonese).